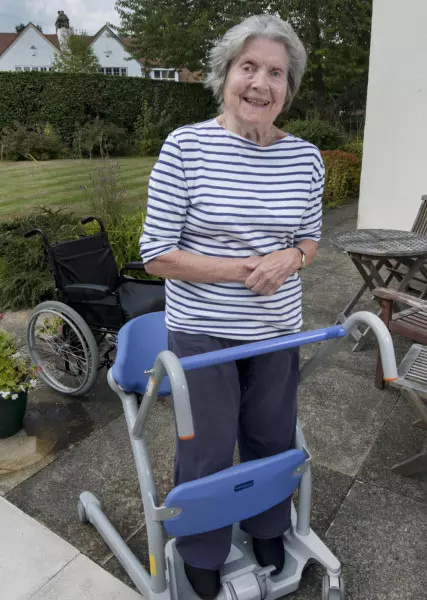 A 91-year-old pensioner who became paralysed because of a spinal tumour has proved age is but a number after amazing doctors by coming through surgery to learn to walk again. Gudrun Hopper, who lives in Far Headingley, underwent a four-and-a-half hour procedure at Leeds General Infirmary in February after being diagnosed with a benign tumour that was pressing on her spinal cord. The great grandmother of seven described surgery as her “last chance” at life after seeing herself deteriorate over recent years due to the tumour which caused her to lose all feeling in her feet. Doctors have lauded her story as evidence that, health permitting, surgery should never be discounted simply due to a patient’s age. LGI’s neurosurgery team has operated on just 17 patients aged 90 and over since 2007 – Mrs Hopper, who turns 92 next month, is the oldest. Mrs Hopper, who retired as a dentist back in 1986, said: “It was the last straw. If I didn’t have the operation I would just have gone worse and worse. “I was very keen because it was like my last chance. “I think if you are ready and fit, age shouldn’t be a barrier. My heart and lungs are very good. Mrs Hopper’s condition had deteriorated over three to four years, after she initially started feeling cold and suffering pins and needles in her feet. But it was only recently that the cause of her problems was detected after a series of tests. She said: “I have been in extremely good health all through my life and this sort of came out of the blue. They said it was a slow growing tumour and it’s been there a long time. When she started seeing consultant neurosurgeon Deb Pal, who works at the LGI, she had experienced around six months of “near total paralysis” because of the 3.5cm non-cancerous tumour. He operated, cutting through muscles in her back to expose the spinal cord before gently peeling the tumour away to avoid causing any serious damage to her nerves. 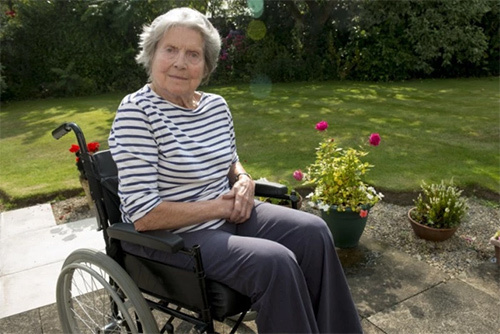 Within three months Mrs Hopper had regained full power in her legs – the extent of her recovery amazing doctors. 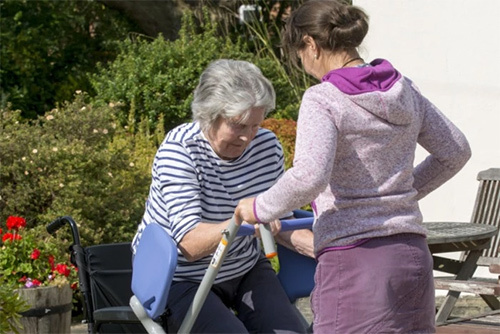 “Often people feel that if you are elderly you shouldn’t have any intervention as the risks outweigh the benefits, and that’s not always true,” Mr Pal said. “Age should not be the only criteria – the fact that such a significant improvement has occurred shows this to be the case.